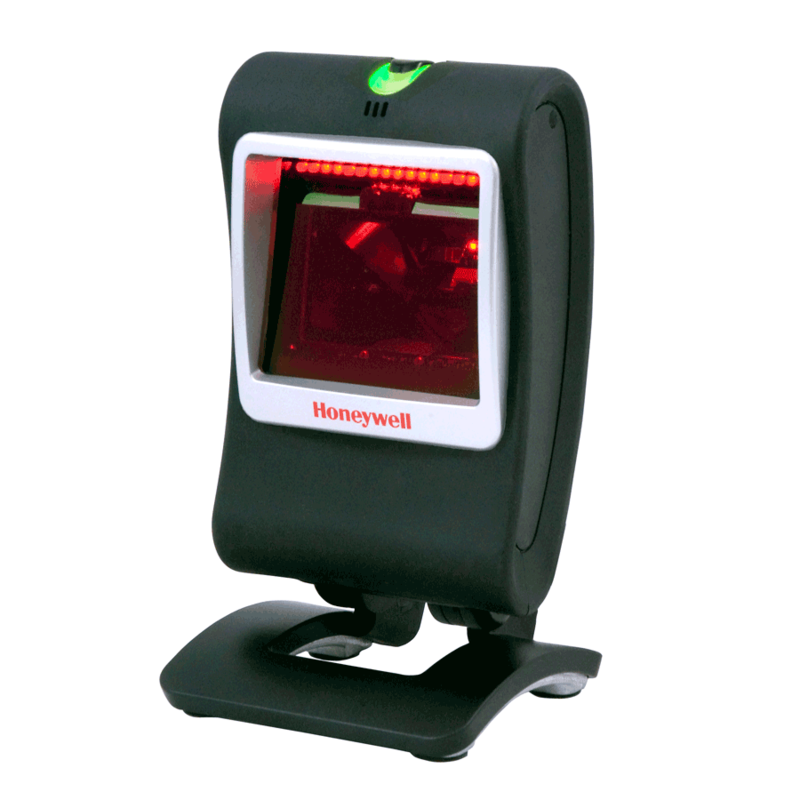 The Honeywell Genesis™ 7580g, the world’s first presentation area-imaging scanner engineered to decode all standard 1D, PDF, and 2D codes, provides enhanced productivity and revolutionary imaging technology in an elegant, yet durable design. Powered by Adaptus™ imaging technology, the Genesis 7580g scanner redefines industry standards for imaging solutions. Breakthrough performance and a versatile form factor make this product suitable for environments ranging from manufacturing to healthcare to retail POS. Aggressive reading of barcodes on highly reflective surfaces, such as mobile phone screens, eliminates the need to purchase additional specialty hardware. Second-generation TotalFreedom plug-in development platform enables the loading and linking of multiple applications directly onto the scanner, eliminating the need for host system modifications. Improves document management by capturing and storing electronic images, including coupons, personal checks, signatures, and damaged packages. Flexible licensing solution allows current scanning needs to be met while protecting the option to upgrade scanning capabilities in the future by simply purchasing a license for the appropriate feature. Remote MasterMind™ management software provides a quick and convenient solution for IT administrators seeking to manage all scanners within their network from a single remote location. Decode Capability: Reads standard 1D, PDF, 2D, Postal, and OCR symbologies. Note: Decode capabilities dependent on kit configuration.